Our services are the best! 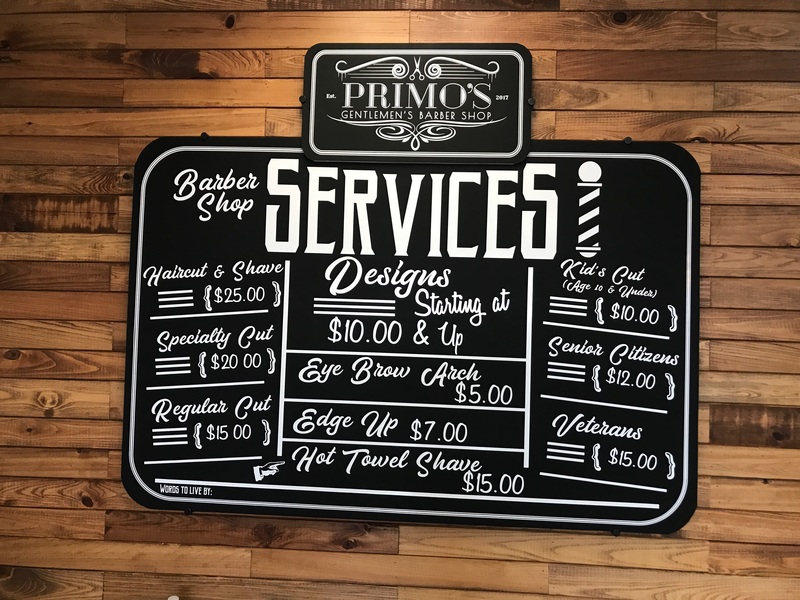 Primo’s Gentlemen’s Barbershop is that new place you can call your home away from home for all your haircut and grooming needs. We understand that having a fresh, confident look, means people take you seriously and gives you the respect from others that you deserve in life. Turning the ladies heads in your direction is just a bonus. Someones gotta look handsome, it might as well be you!! Seriously, this is the best barbershop in town. Help us make it the best barbershop in all of Texas. That only happens when good people like you, who want quality haircuts for a fair price, come and visit us. We talk trash, we have fun, we get to know you. We hope to see you soon. So walk right in or schedule in an appointment! !